Multitasking is a common theme among broadcasters. Handling production, ensuring quality, problem-solving, talking with chat, and more. As a result, many utilize channel bots to offload some of that work. It can make your life easier as an entertainer and provide more value to an audience. Why use Manually Triggered Commands? There’s a whole host of programs available to streamers whether free or paid, simple or complex. While automating commands is useful, those manually triggered by chat are equally practical. Unless a command displays every few minutes (don’t do that), it makes sense to have commands that can be called upon when needed. The chat will always evolve as viewers and streamers are constantly looking for new ways to improve interactivity. As a result, over time, viewers become accustomed to using certain in-chat commands. These commands, commonly appended with an exclamation point, can often be identified by watching for commands used by new viewers. We’ve assembled a list of some of the more frequently used chat commands to act as a handy reference. 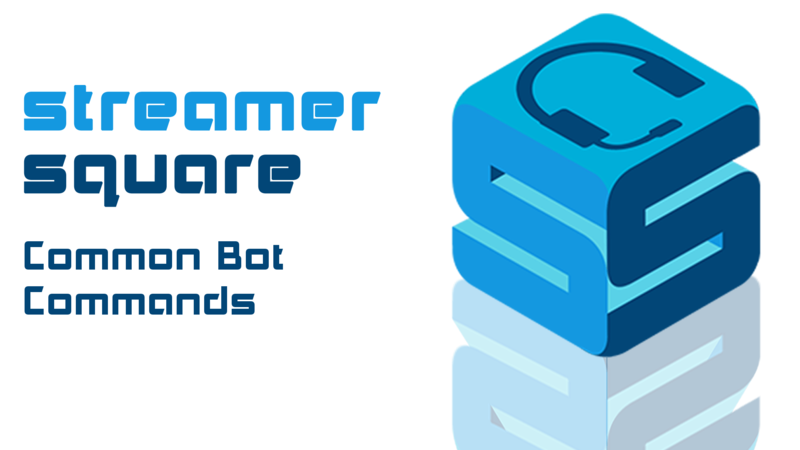 !commands – While some bots already include this as a default command, in general, it’s good practice to have a simple command that displays your most used or important in-chat commands. !rules – While most platforms have multiple ways for you to showcase your community standards, it’s ideal to have this in an easily accessible place. Likewise, mods and viewers can bring up a quick reminder if someone in chat crosses a line. !social / !links – Here’s where you should include your external social media links for cross-promotion. Platforms like Twitter, Youtube, Instagram, and Steam are all fairly common to see here. !schedule – Let people know the days of the week and times when they can watch you live. If you have specific themed days, or events coming up, this is a great place to include them. !tip – Depending on the device being used to watch your stream, not everyone has the same easy access to your information panels. Having a direct text link to your tipping page makes it accessible to more people. !sub – For the same reason as tips above, it makes sense to provide an additional way for people to easily subscribe from any device. Currently, the best link to use is https://subs.twitch.tv/channel and simply replace “channel” with your channel name. 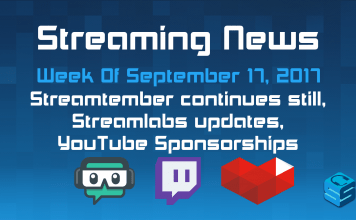 !freesub – Having a quick way for people to learn more about Twitch Prime and how to redeem their free subscription is a great idea. !uptime – Used to let people know how long the channel has been live for. !specs – Great place to list the key components of your setup. !Follow / !FollowAge – Allows viewers to see when they first followed your channel. !song – Displays the song title and artist for the song currently being played on stream. !Playlist – If you have a playlist you use, this is a great command to set up to share a link to that playlist. Often times you’ll find common commands that develop within communities surrounding specific games. While there’s far too many to attempt to cover them all here, we’ve included a few of most common ones. !server – Useful for multiplayer games in which you’re playing with viewers. !rank – Whether it’s CSGO, League of Legends, or any other game that has a competitive game mode, viewers often use this to gauge someone’s skill level. Regardless of which ones you implement, be mindful of how fast your chat moves and the amount of space you have to work with. Always keep posts and links as short and concise as possible. While this isn’t meant to be an all-inclusive list, hopefully, we’ve provided some ideas on how to incorporate the most common chat commands on Twitch.